After passing Big Sur, this day can be a little anti-climactic, but you will be ending in the famous San Francisco so that alone is exciting if you have never been. 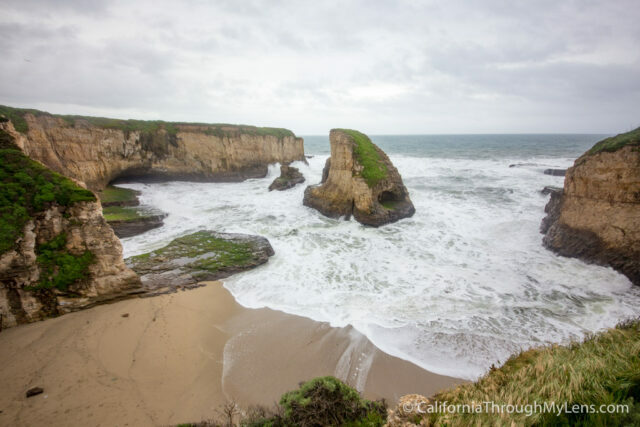 A lot of my recommendations here are in Santa Cruz as I love that town. 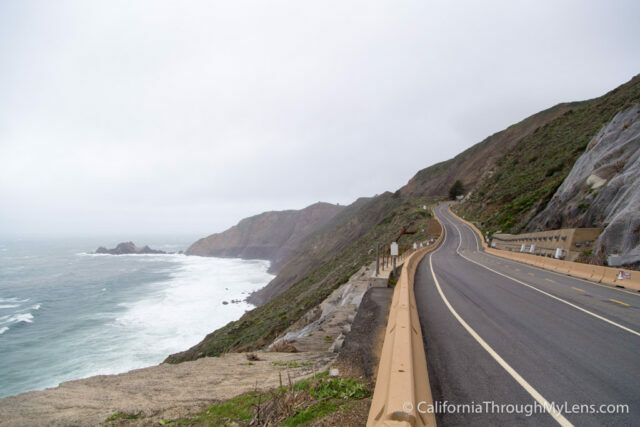 I would love to hear what you like to visit on this stretch of Pacific Coast Highway in the comments as well. If you are into sports, then a stop at Pebble Beach is probably on the schedule today. 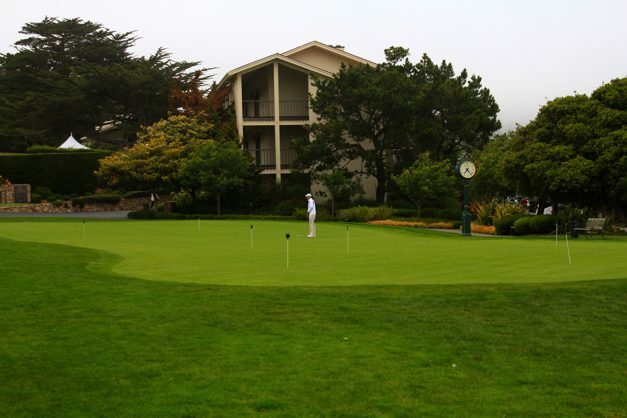 This is one of the most famous golf courses in the entire world, and if you pay to go on the 17-mile drive, then you can walk through its lobby and see all of the famous photos and trophies. Read more about Pebble Beach here. 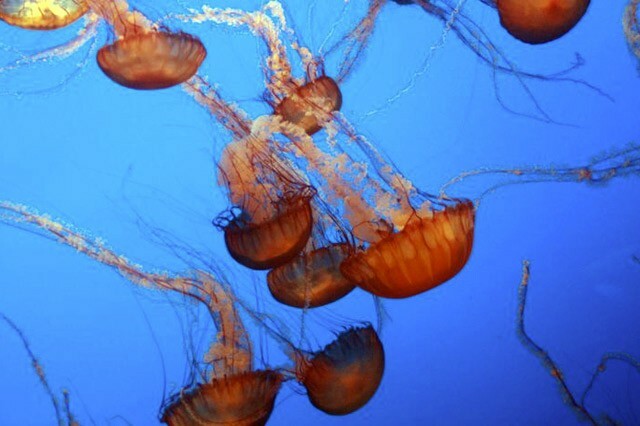 I would not leave Monterrey without seeing the famous aquarium, especially if you have children as it is one of the best aquariums I have ever been too. They have so much to see that it can be overwhelming if you don’t have a few hours but it is still a great spot. If you are camping, then Glaum Egg Ranch would be an excellent stop to get some home-grown organic eggs in a way I guarantee that you have not done before. You pay your $4, and the vending machine starts dancing then delivers you two dozen eggs. Yes, it is random, but it is fun. 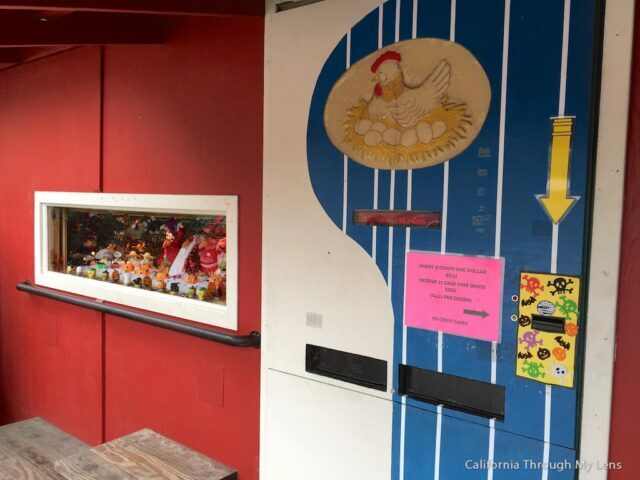 Read more about the Egg Vending Machine here. Aptos Pier and Seacliff State Beach are a spot that you want to experience. At the end of the pier is a massive cement ship that was an amusement park decades ago and now is just sitting there sunk in the water. I love this type of stuff, and it is a great place for photography. 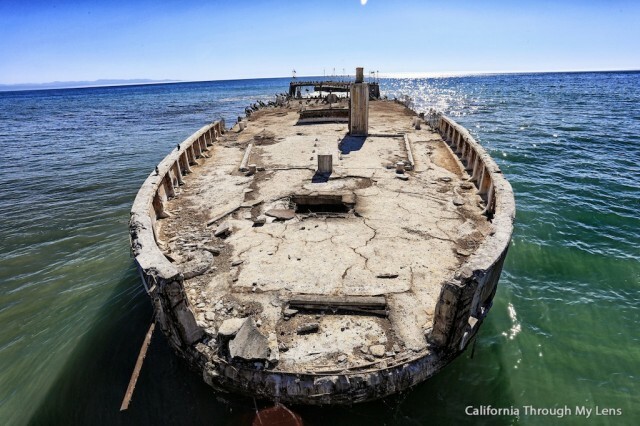 Read about Seacliff State Beach here. 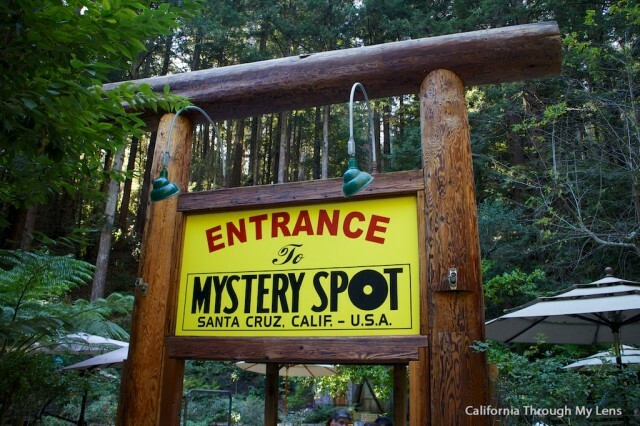 One of Santa Cruz’s most famous places, the Mystery Spot is a gimmicky place that people love. I recommend going with an open mind and just having fun as it is silly but a well worth the $5. Read about the Mystery Spot here. 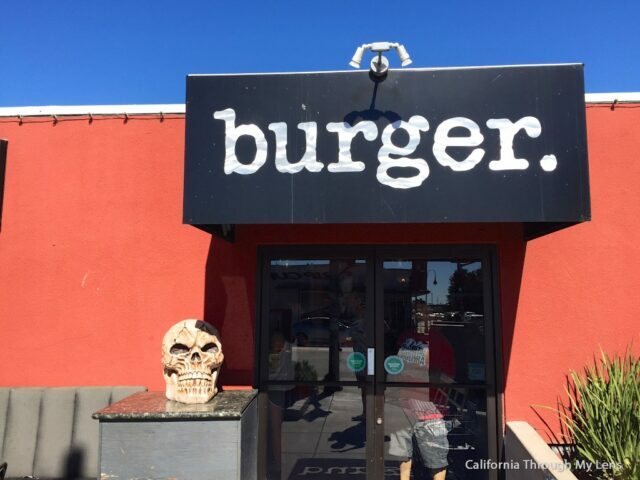 For lunch, I recommend stopping at Burger which is a trendy eatery in Santa Cruz with an insane amount of sandwich and burger options. All the food numbers feature headshots of celebrities, and the entire spot has art all over the walls. It’s unique, and it has great food. You can also look at my other Santa Cruz food options here as well. While it is called Natural Bridges, there is only one original “bridge” now since the other caved in years ago. That doesn’t take away from how amazing it is though. The massive rock arch out in the water is like a photographer’s dream, especially at sunset. 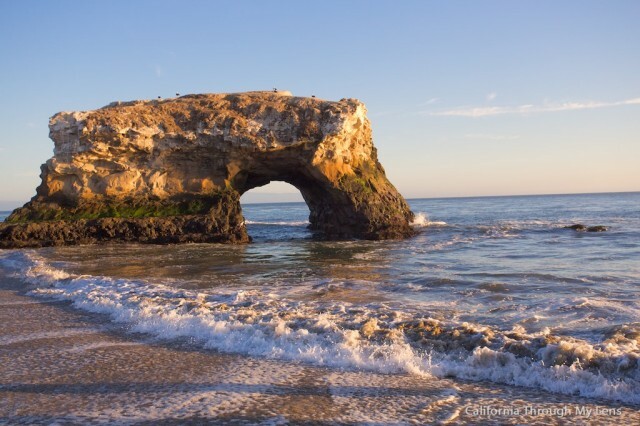 Read more about Natural Bridges State Park. This beach is one of the most unique on the entire coastal drive. Right in the middle, there is a significant rock that looks like a shark fin sticking out of the water. It is hard to find though so read more about it here. This state park is home to hundreds of sea lions. 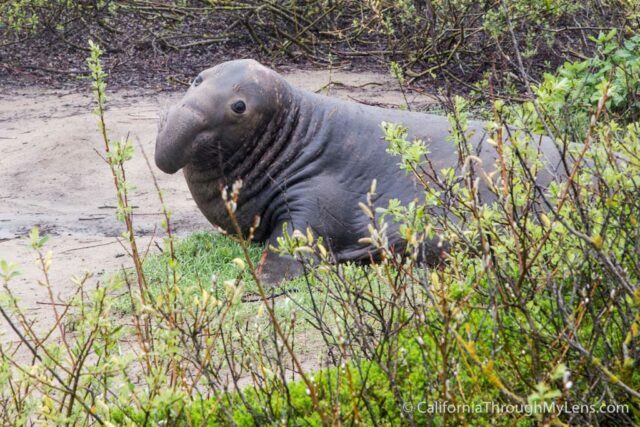 The park itself has a 3-mile trail that lets you walk out among these gentle giants, and it is a uncommon experience. Read all about it here. here. 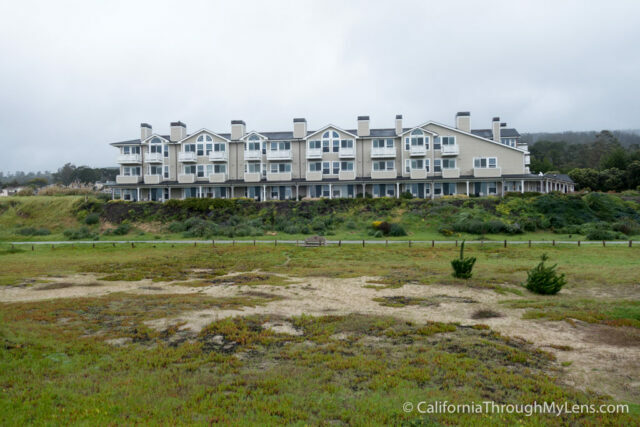 Half Moon Bay is another iconic beach town on Pacific Coast Highway, and it features the equally famous Ritz Carlton Hotel out on the bluffs that must be seen to be believed. There is a lot of fun places to shop and explore which you can read about in this post. Once the most dangerous part of Pacific Coast Highway, this road has been repurposed into a hiking and biking trail. It is a beautiful way to get out and stretch your legs. Read more about it. 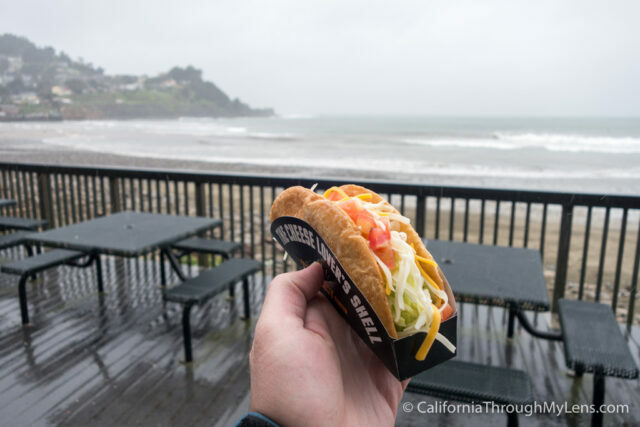 This is precisely what you would think, a Taco Bell that sits practically on the sand. It is one of the cheapest ocean view meals you will ever have. Read about it here. From here I recommend just heading into San Francisco so you can spend a good amount of time there. One of my favorite spots in the Mosaic Steps. 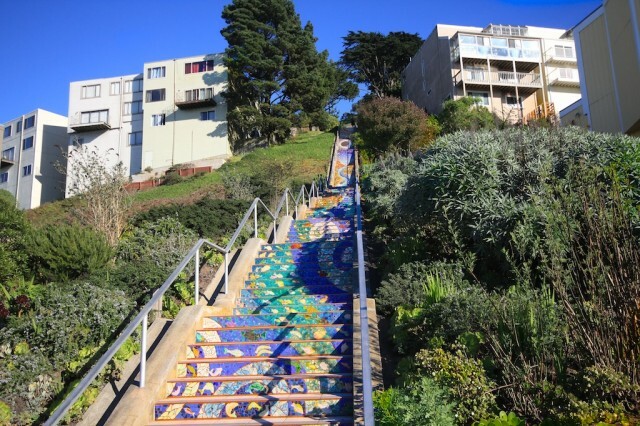 This community project is a collection of painted steps that head up to an equally famous overlook of the city. I love this spot as it is so unique. Read more about Mosaic Steps here. 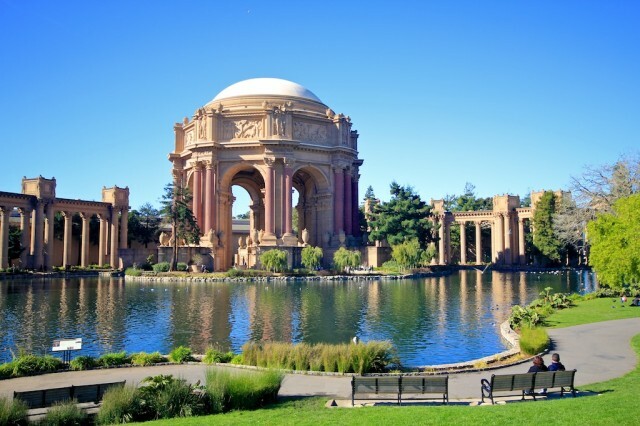 Another crazy stop is the Palace of Fine Arts, which will make you feel like you were transported to Europe with the architecture and style of the buildings. It is so beautiful and is a famous spot for engagements as you would expect. Right next to it is a super fun museum called the Exploratorium which is pricey but has a lot of hands-on things for kids. Read about the Palace of Fine Arts here. 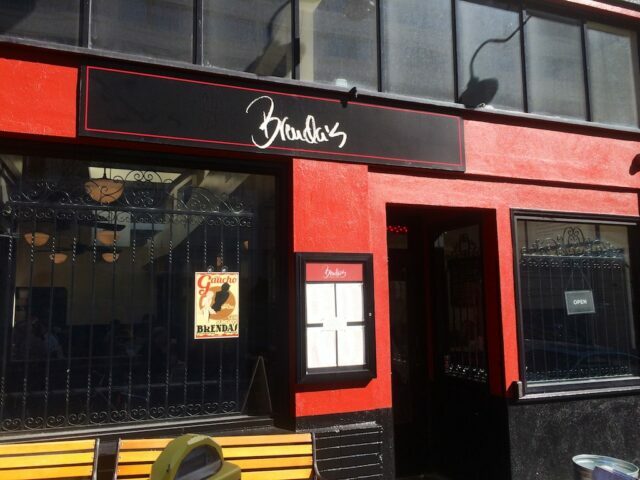 My favorite place in the city for dinner is Brenda’s Soul Food. I have eaten here so many times, and it has never let me down. Be warned, it is not in a great neighborhood, especially at night, but the food is fantastic. Read about Brenda’s Soul Food. For a fun dinner/night adventure other than Brenda’s I would recommend wandering the famous and touristy Pier 39. It has great views of Alcatraz; there are usually seals at the end, and it has a lot of food spots for the whole family. 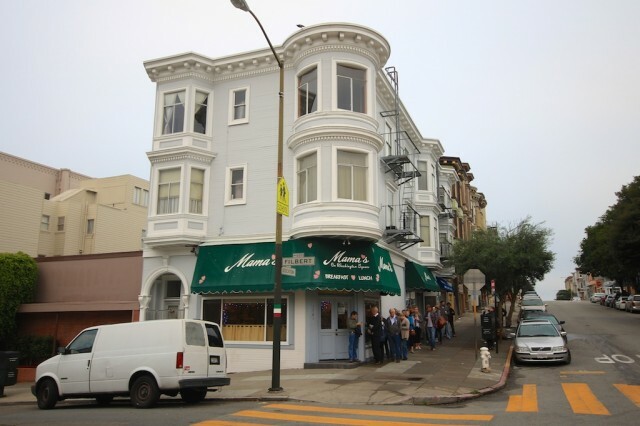 When you get up in the morning, I would recommend Mama’s as well as it has one of the best Eggs Benedict I have ever had and I think about it often. Get there before it opens though as the wait here can be legit crazy. Read more about Mama’s here. 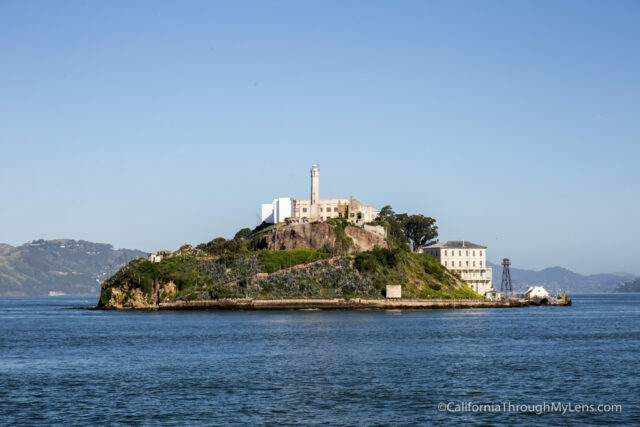 Lastly, no visit to San Francisco is complete without heading over to Alcatraz the famous prison island in the middle of the water. I thought this would be too touristy for me but it actually ended up being a fantastic experience that I highly recommend. Read more about Alcatraz here. I don’t have a lot of recommendations for places to stay in San Francisco as it can be expensive wherever you go, so I would just recommend staying wherever your budget allows. Here is a link to hotels in San Francisco. It will get cheaper as you head into Mendocino and Fort Bragg tomorrow anyway. Can you believe you have already spent four days on this crazy drive? I know it goes fast and I hope you are enjoying yourself. Be sure to leave comments of the spots you have been that I may have missed as well and read all about PCH in my guide here.